The Eurocopter AS355 Ecureuil 2, or Twin Squirrel helicopter, has been in production for over 25 years. Despite the development of more modern helicopters such as the EC135, the Twin Squirrel, and its single engined sister the Squirrel, remain very popular helicopters throughout the world. Known in North America as the Twin Star, the aircraft is reknown for its low operating and maintenance costs. It’s reliability, robust airframe and excellent handling make it an ideal choice for aerial filming, fire fighting, air ambulance work and also for military and police organisations. It can also be found flying in some of the world’s most inhospitable locations, such as Antarctica and the mountains of Papua New Guinea. All of these characteristics also make it an excellent choice as a charter helicopter. 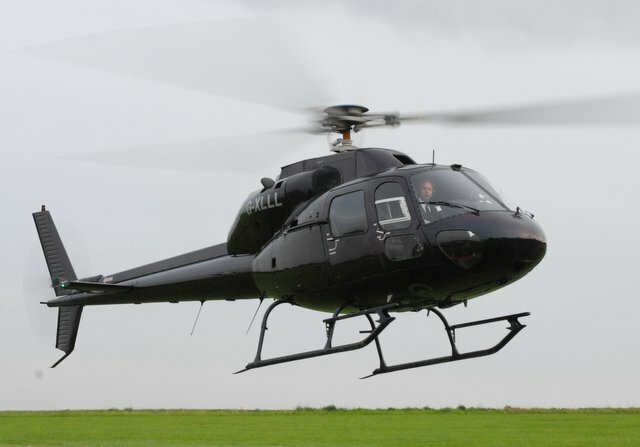 The helicopter can carry five passengers, four in VIP configuration, and it cruises at around 120 knots. Fully equipped for IFR and night flights, these aircraft offer a very cost effective, twin engined charter solution. The Eurocopter EC135 is a twin engined civil helicopter widely used in both police and air ambulance roles, and for executive passenger transport. In service since 1996 over one thousand aircraft have been delivered to date. The EC135 helicopter is certified for single pilot, IFR flight and seats up to 5 passengers. Its aerodynamic design and lightweight composite frame allow for a fast cruise speed and excellent range. Equipped with a fenestron tail rotor this helicopter has a very low noise footprint and offers a smooth, comfortable ride to the passengers. It is the ideal charter helicopter for VIP passenger transport to business meetings, sporting events or other special occassions.